A cleverly designed Detachable Bunk Bed with Trundle Drawer that splits into 2 Single Beds. 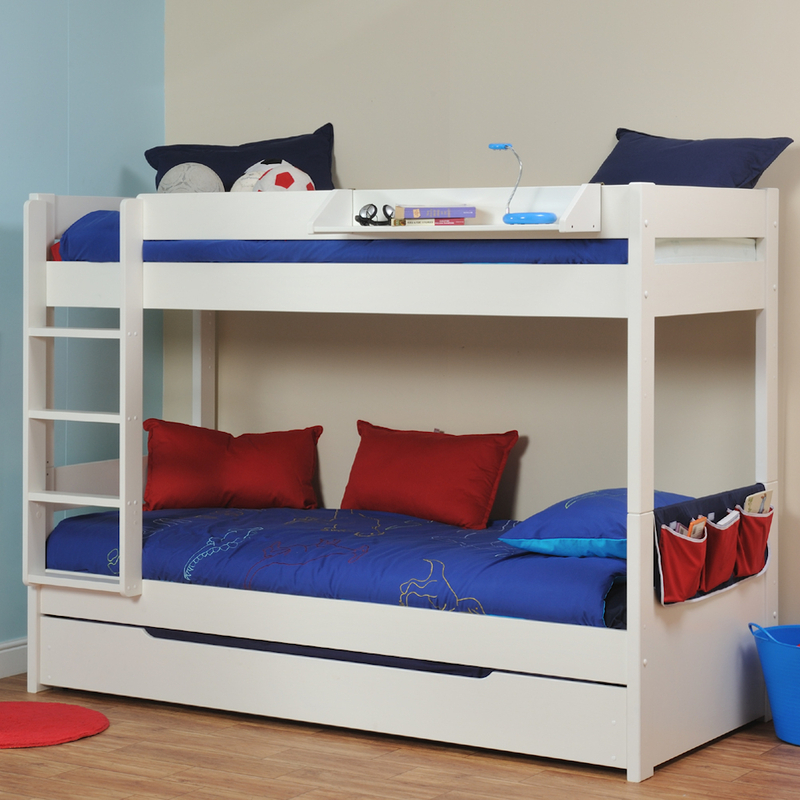 This sturdy Bunk Bed has space for 3 children to sleep when a mattress is added to the Trundle. Includes Uno Bunk Bed with Trundle Drawer. Bunk Bed frame including Trundle Drawer. 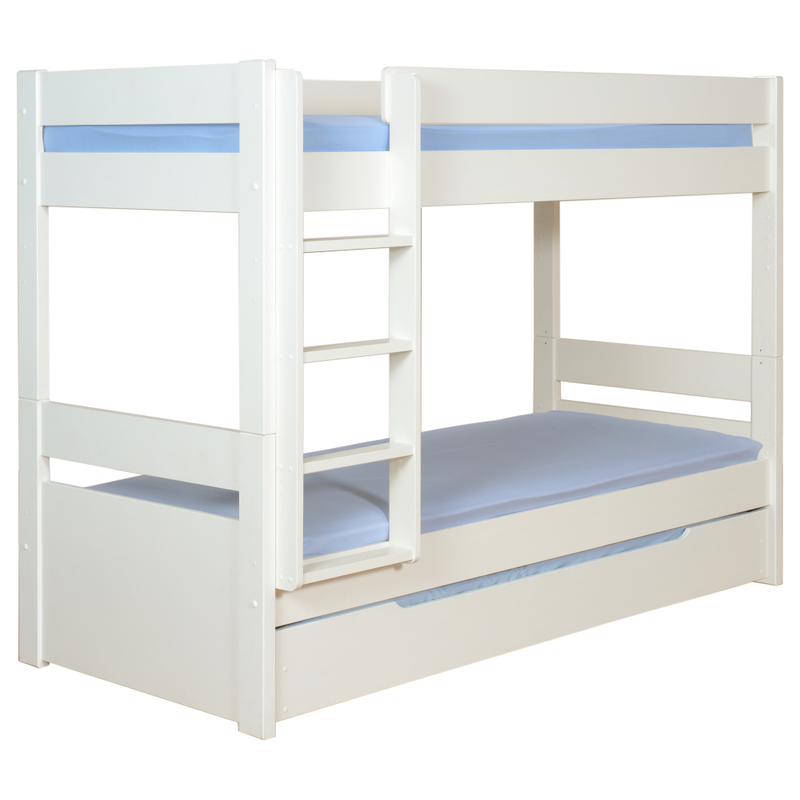 Size of Trundle Bunk Bed H1612XW1051xL2082mm.